Sierra Wireless is entering the portable router game with the new WiMax + WiFi Router model W801 FCC id N7N-MHS801. The complete details are available on the FCC website, but from what we can tell it is a small portable WiMax + WiFi router that is battery operated. wpsantennas.com has a fully staffed coax cable department with substantial inventory of the most popular grades of both 50 and 75 OHm coax cable like RG-58, LMR-240, LMR-400 and LMR-600 and every possible termination we can source. Our coax assemblies are produced IN HOUSE so turn around time is typically limited to one day on smaller quantities. wpsantennas.com has been producing custom coax assemblies for many years for numerous end user and OEM applications. Now the ability to assemble your own custom specified coax assembly can be accomplished on our website. Check out our new custom coax assembly page for that hard to find custom cable assembly. wpsantennas.com is excited to release the New Wilson 811200 Direct Connection Cellular/PCS Amplifier with GPS Bypass. The Wilson 811200 inline amplifier is an improvement to previous models as it allows GPS signal to pass through. The need for GPS is becoming increasingly more popular due to the influx of devices that have imbedded GPS radios for navigation and E911. Contains 1575 MHz bypass to allow for GPS reception. Buy an MBR1000 - Get a CTR350 Free Extended through the end of the year! wpsantennas.com has just announced the extension of the Cradlepoint Buy one MBR1000 get a CTR350 for free with mail in rebate. wpsantennas has just posted the hottest pricing on products from Wilson Electronics like the iBooster 805201 and the Home Desktop Repeater Wilson DT model 801247. From zBoost we have lowered the price on the new YX400-P and the YX230 vehicle amplifier. Cradlepoint has a great deal on the MBR1000 Router. Purchase the MBR1000 and send in a rebate for a free CTR350. For sale November 15 the Wi-Ex zBoost-one YX400-P signal booster is the brainchild of a small Silicon Valley California company. The new Wi Ex zBoost One or YX400-p was originally developed by Cogent Wireless Solutions Inc. led by former CSI Wireless Inc Michael Cummiskey and Scott Terry. With a combined 38 years of experience the team developed the device originally released as the Cogent Wireless Solutions 3G booster to capitalize on the need for improved mobile broadband coverage in homes, offices and automobiles. wpsantennas.com has performed some initial testing on the device and although limited to the 1900 MHz spectrum the YX400-P will be an excellent solution for dormitory and apartment coverage issues. The solution that we have created has been installed and tested by a local wireless communication tower erection company in our area. The kit was developed by wpsantennas.com in an attempt to create a wireless hotspot in and around a service vehicle allowing engineers with portable devices and notebook computers instant access to their VPN and other web based services. In our testing of the range we were able to connect up to 1 mile from the vehicle as long as we had line of sight. 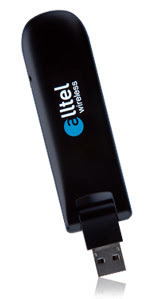 Unlike the Autonet device the Ultimate Vehicle Wireless Modem Kit from wpsantennas allows a customer to attach his or her own modem or tether-able mobile phone instead of paying for equipment and additional service for a solution that is domiciled in one vehicle. Cradlepoint MBR-1200 - Now in stock!! Sources have told us some interesting things about the new Cradlepoint MBR-1200 Failsafe Gigabit N Router for Mobile Broadband. What started as a solution for the business traveler has turned into a solution with limitless possibilities. The MBR-1200 from Cradlepoint is the perfect solution for small to medium sized business, Remote locations, Kiosks, mobile and portable applications and even specialized deployments like digital signage. The Benefit of using a 3G modem in a wireless Back-up environment is first and foremost the low cost of ownership with additional benefits like network diversity and fail-over and fail-back. The Cradlepoint MBR-1200 Mobile Broadband Router has 1 Wan and 4 Lan Gigabit ethernet sources, 2 USB Cellular WAN, one Express Card and one PCMCIA plus an Ethernet. Hardware VPN IPSec VPN Endpoint, Locking Cover For USB, Express card and PCMCIA Slots, and finally 802-11B/G/N(Draft 2.0) - 300 Mbps WiFi. Included with the purchase customers receive free technical support, free firmware upgrades, New Product information and Special Offers and promotions as long as they register their new device with cradlepoint at cradlepoint.com/register. What's included in the box? Failsafe Gigabit N Router for Mobile Broadband, Ethernet Cable, Power Adapter, Mounting Hardware, Quick Start Guide and an Accessory Guide. One accessory that appears to be available is a dual diversity external antenna option. Using what appears to be a modified mccard type connection and some RG-174 coax mated to a base. The new Cradlepoint MBR-1200 is in stock now for immediate shipment. wpsantennas.com has released the new WA-1061 Sierra Wireless AC402 Antenna Adapter. The Antenna adapter for the AC402 is custom designed for use with the AC402 in both the Express Card and PCMCIA card format. wpsantennas.com is the only source for this custom made adapter. The new Wilson iBooster 805201 is in stock at wpsantennas.com. The staff at wpsantennas.com has been testing the ibooster 805201 for the past 3 months with extremely positive results. Click on the video below to see the Wilson iBooster 805201 Speed test and other interesting information regarding the Apple iphone and the signal enhancement options available. PCTEL's new low-profile multi band antenna PCTMBPTSM/RPSM from wpsantennas.com supports numerous telemetry applications that require efficient cost effective collection and communication of information. Ideal applications for this model include wireless monitoring of utility gas and meter reading, Energy/oil/water control, Land Surveying, Vending Machine, and field measurement. Ideal for use with wireless cellular modems and routers. wpsantennas.com specializes in custom antenna solutions for utility gas and meter reading. Our knowledgeable staff and extensive inventory of antennas, coax cable and the largest selection of standard and reverse polarity terminations makes us an easy one stop shop for custom solutions. Now in stock! The new MBR1100 Mobile Broadband Router from Cradlepoint. The CradlePoint MBR1100 is a robust 802.11Nrouter with 3G/4G failover capabilities for home,small and branch offices, temporary and remote enterprise environments seeking to implement continuous, always-available connectivity. With its built-in failover capability, the MBR1100 automatically switches to a secondary ISP (either wired or wireless)networking when the primary ISP service is interrupted. Once service is restored, the MBR1100 will automatically failback to the primary wired ISP keeping your business online without interruption to users. Your business is always connected. Cellphone-mate will soon be releasing the new CM2000-WL 55dB Dual Band Soho Amplifier. This amplifier will be available from wpsantennas.com in two forms. 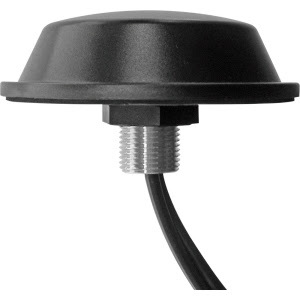 The CM2000-WL 40/50dB (40dB on 850MHz and 50dB on 1900MHz) and is a complete vehicle repeater kit consisting of the CM2000-WL Amplifier, CM200 3dB magnetic antenna, interior patch antenna, DC power supply and applicable mounting hardware. The CM2000-WL 55dB is again a complete kit, however designed for home or small office use. The CM2000-WL 55dB unit comes with the CM2000-WL amplifier, the CM222 indoor antenna, the CM100-S outdoor antenna, one 20 foot and one 40 foot section of CM240 cable terminated with FME connections. The zBoost-ONE is the worlds first One piece signal booster. The YX400-PCS from Wireless Extenders is designed for the 1900 MHz PCS frequency spectrum only and is the first unit to synchronize with your desired carrier. Coverage claims of up to 1200 square feet make the new YX-400-PCS from zBoost one of the most portable boosters on the market with ideal applications being those where the use of an externally mounted donor antenna is not possible like an apartment or high-rise building. A new addtion to the extensive International Cellular 3G reception enhancement offerings from wpsantennas.com is the Wireless Extenders YX-520i. The zBoost YX520i works the same as the USA YX-510 however covers the International frequencies from 890-960 MHz and 1710-1880 MHz. The new YX 520i uses a new Donor antenna that has been designed from the ground up boasting a 0dBi gain with an F-type connector. The Base unit uses a similar antenna that has been used on the USA versions however specification show the use of an increasingly comon SMA 0 dBi male antenna. wpsantennas.com spent this afternoon testing the new iBooster Wilson 805201 and we are excited about the results. The iBooster model 805201 comes with several mounting options for both fixed and portable use in a vehicle by sharing the same mounting base as the Wilson Universal cradle. Our testing was performed in and around the Las Vegas area (CTIA!) with the net result of an average 25 dB gain on our testing unit. In the example photos, without the iBooster we had a -87dBm signal strength and with the iBooster a -61dBm signal strength. The iBooster cradle comes with a sleeve for a perfect fit on the 3G models with the removal of this sleeve allowing for first generation iPhone compatibility. The iBooster cradle unit in addition to offering a substantial signal boost also charges the iPhone. The auxiliary port located on the bottom of the iBooster is a duplication of the iPhone port giving further functionality for added accessories that require the bottom connection. Wilson Electronics and wpsantennas.com is excited to bring the new iBooster to market and look forward to the Blackberry 805206 and universal 805221 models that are expected in the coming months. On a CTIA side note, the HTC Touch Diamond2 is *so* cool! The Wilson Signalboost 801262 DB PRO 65dB Repeater is now available. The Wilson DB PRO will have two versions. The 801262 is available as a stand alone unit with the 841262 availabe as a ready to plug and play complete system. The 841265 is a custom system that does not included the necessary 75 Ohm coax cable and is aimed at customers who wish to supply their own custom coax lenghts. All three units boast an impressive 60dB gain with a 65dB maximum gain. wpsantennas.com has a full line of 75 ohm coax in both RG-6 and high quality RG-11. With our in-house cable facility and lightening fast assembly staff, custom cable requests are often shipped the same day they are ordered. CradlePoint Technology announced today one of their best-selling products, the PHS300 Personal Wi-Fi Hotspot, has been certified with the Verizon Wireless UM175 USB modem for use on the Verizon Wireless network, the most reliable wireless voice and data network in the United States. CradlePoint, the global leader in 3G/4G network solutions, submitted its PHS300 for certification through Verizon Wireless’ open development program. Verizon Wireless customers using CradlePoint’s PHS300 can now turn the Evolution-Data Optimized (EV-DO) wireless broadband network into their personal Wi-Fi hotspot where they can connect and use their Wi-Fi-enabled devices. The PHS300 allows Verizon Wireless customers share their connection over a secure Wi-Fi network with as many as 16 people or Wi-Fi enabled devices. The PHS300 is available today from wpsantennas.com for $169.95. wpsantennas.com introduces the new Wilson Electronics 301202 - 50 ohm Building Mount Antenna (18" tall). The Wilson 301202 comes with a 14" section of coax terminated with FME female making it compatible with the Wilson 801245 SOHO dual band repeater kit and a multitude of cellphone and wireless data card adapters. In addition to the supplied 14" coax the Wilson 301202 Building Mount antenna comes with a mounting bracket for fixed mounting. wpsantennas.com has added the Andrew super high gain directional parabolic grid antenna to its extensive lineup of high quality EVDO antennas. The 26T-1900F-1 from Andrew is the highest gain consumer grade directional antenna available. The 1700MHz-2100MHz coverage with no additional tuning or modifying makes this antenna the best choice for use with EVDO and 3G singnal enhancement. The Wilson 841365 from wpsantennas.com is a complete PCS 65dB repeater kit that contains: one 301124 directional yagi rooftop mount antenna, one 301135 panel interior antenna, one 20' and one 50' section of Wilson-400 low loss 50 ohm coax cable and one 801365 - 65 dB Wilson PCS repeater. The Wilson 841165 from wpsantennas.com is a complete Cellular 65dB repeater kit that contains: one 301129 directional yagi rooftop mount antenna, one 301135 panel interior antenna, one 30' and one 50' section of Wilson-400 low loss 50 ohm coax cable and one 801165 - 65 dB Wilson Cellular repeater. The external antenna adapter for the Sprint Sierra Wireless 598U modem is the 359927 from wpsantennas.com. The 359927 adapter is the SMK TS-9 and has been tested by wpsantennas.com and verified by the staff at Sierra Wireless. 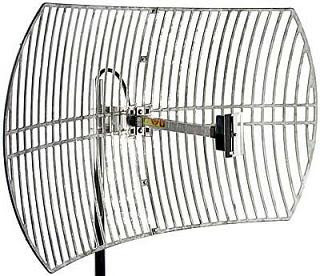 The Booster Antenna for Sprint Sierra Aircard 598U recommended by wpsantennas.com is the ARC wireless freedom antenna.